This is an awesome phone that comes with Dual 13 MP + 5 MP rear and 8 MP Selfie camera. 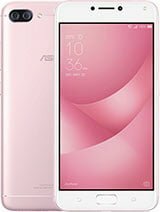 Zenfone 4 Max Plus runs latest Android 7.0 OS and it’s powered by 5000 mAh battery. Under the hood this device has 1.4 GHz Quad Core processor, Adreno 308 GPU,3 GB RAM, 5.5 inches Display and more. This device is now available in Bangladesh and price approx 23,900/- .